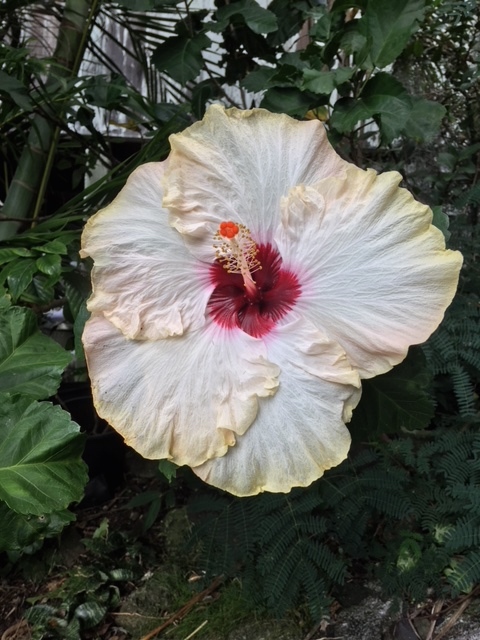 Lovely Sunday in Kaneohe - this hibiscus was on a bush in Palolo. Isn't it magical?! I will be heading out for another full day. Showing 320 Hao Street today 2-3pm. $1500 for a 1 bedroom spacious unit close to town and less than half mile walk or roll to market and a few spaces to grab bit to eat. The Honolulu Marathon is next Sunday-Are any of you running this year? This will be my 10th. Yikes how time flies. Call me if you want to look for a home for rent or to purchase. I love helping people find their way home.